Community Benefit Connect Membership is your gateway to a community of like-minded practitioners, consultants, and healthcare professionals who are deeply connected to examining, discussing and implementing emerging community benefit trends, research, best practices and regulations. Your membership will help to build a network of community benefit professionals from many disciplines who are exploring, using, and implementing programs every day. 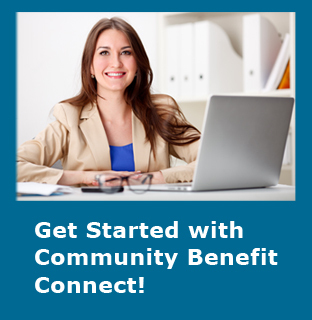 Community Benefit Connect offers you the opportunity to become an active part of the community benefit movement in order to connect with professionals who have similar goals. Members leading by advocacy and example are Community Benefit Connect ‘s greatest assets. In exchange, membership offers professionals both practical support and the ability to network within our community. Access to the latest news, research, and information relevant to the Community Benefit community as well as to printable downloadable resources throughout the website. A quarterly Community Benefit Bulletin. These Bulletins will provide important up-to-date information and news on community benefit. 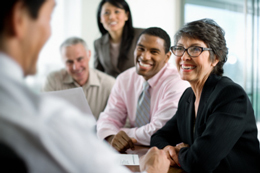 Opportunities to connect with like-minded community benefit professionals through a variety of venues. Invitations to webinars on community benefit and related topics. Discounts on Community Benefit Connect programs and products. You never have to renew your membership. Renewals will extend automatically and cost nothing. Community Benefit Connect is an initiative of the Institute for Healthcare Advancement.